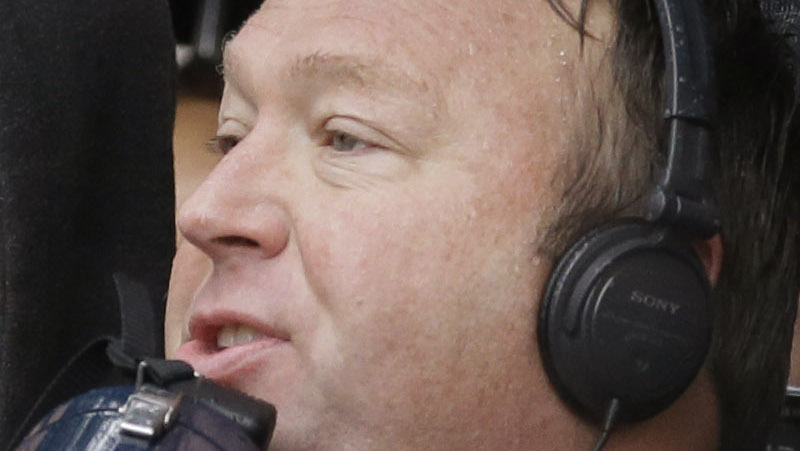 Alex Jones: Screaming Baby at Trump Rally Was "Probably a Plant"
By now, you suckers have probably heard all about the supposed “controversy” involving a screaming baby at a Donald Trump campaign event in Virginia. You’ve probably slurped up all the mainstream media’s glop about the baby, and are ready to pass judgement on Donald Trump. But Alex Jones has the real truth: That baby was a crisis actor. And then, of course, we’ve got the other controversy. Somebody’s got a screaming baby—probably a plant—right up in the front, howling like it’s the end of the world. And Trump’s just real. He says, “Hey, get that screaming baby out of here.” Just like when they say we’re not doing the star-spangled banner, he says, “We’re doing it.” Or when somebody starts a fight, to distract everybody, he says, “Take ‘em out of here, stop being so easy on ‘em when somebody’s punching people.” That’s why they’re scared of Trump: he’s real. They’ve been tapping his phones for years. They’ve got dossiers on him. Think about it. Remember the guy who caught a homer at a Diamondbacks game while holding a baby earlier this year? Have you ever seen that baby and screaming Trump baby in the same room? How about the baby born with the creepily thick head of hair in March? Imagine that baby screaming and crying—doesn’t it sound a lot like screaming Trump baby? Remember the baby in a pope hat that charmed the actual pope when he visited Philly in 2015? Do I really have to continue spelling this out for you? Alex Jones says a lot of silly things, but when he’s right, he’s right.